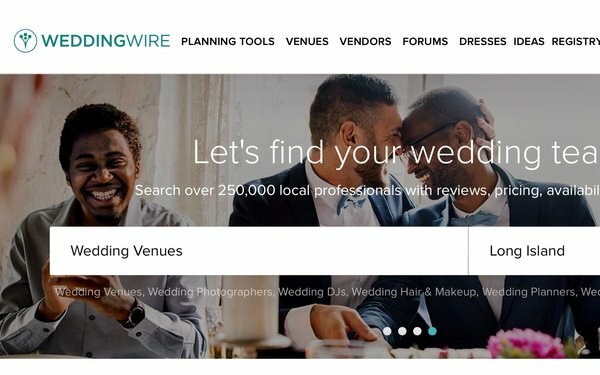 Started in 2007, WeddingWire is global with an online directory of 400,000 vendors and 4 million reviews across 15 countries. Its main priority is driving engaged couples to request information from the vendors that advertise with it by using behavioral messaging. To do so, it requires two things, data and technology. WeddingWire needs to have good-quality data in near or real time because it knows that nothing kills a relationship with a customer like a message based on bad data. Data quality is the top obstacle in moving from segmentation to one-to-one personalization. Because it is difficult to execute these messages, a company needs to have the know-how to set up a system to make them easier. Email teams need to have the skills or access to the skills through other teams or partners to get all the scripting and data management set up. In identifying opportunities, the challenge is finding an upscale. WeddingWire has to identify enough opportunities with enough scales to have an impact. Over half of consumers are likely to switch brands if they’re not sent communications that are personalized to them, she adds. That number goes up to 65% on the B2B side. Grimstead said. Plus, 63% of Millennials are willing to share personal data if they are offered personalized offers and discounts. Almost as many are will to do so in exchange for personalized recommendations. The company’s behavioral messages consist of user actions and external actions. User actions target behavior on its website like page views, product views, email engagement, app activity and conversion. It also includes interactions with its sales and support teams. Example: A message is sent to users who have viewed vendor store fronts on the site but haven’t requested information from vendors, much like an abandoned cart. This can be applied to anything that indicates an incomplete action. It is personalized with the store front that the person viewed, and is combined with the user data and the vendor data to indicate whether the vendor is available on the user’s wedding date, making it more valuable for the users. When using behavioral triggers, WeddingWire considers the kind of conversation it wishes to start. After a request for information from a vendor, it sends a confirmation, and few days later an editorial message about how to work with vendors and how to pay them. This is purely about brand engagement, not trying to get them to take any particular conversion. Example: On the B2B side, the company sends a message to a vendor after it renews its agreement with WeddingWire, customized to vendor inaction. Since it knows that vendors with up-to-date listings are more appealing to couples, it sends them tips with scripting that shows a list of things the vendor needs to do. One of struggles with personalization is getting the right data into the right place. WeddingWire’s data science team looks at past-click behavior for all users and uses that data to recommend the first article in its weekly newsletter. Example: On its 10-year anniversary, it sent a message to its vendors, customized with behavior from each vendor over its entire relationship with WeddingWire. This personalized, timeline kind of message has become popular over the years because people like to hear about themselves. People kept returning to it, and the open rate continued to climb as people revisited this message. External action is the flip side of user action. It is action other users have taken or product changes that might impact the recipient. It might include a new review on a product a customer is looking at, form activity, related products, or an alert if there’s low inventory on a product. Example: A message that says “Reviews are crushing it.” A major competitive advantage for WeddingWire is having a lot of reviews on its vendors. When a review reached a particular threshold for number of reviews, that triggers a message to the person who wrote it to let them know that people are looking at it. From surveys, the company knows that the primary motive for people to write a review is to help other couples. This validates that motivation and it’s a great time to ask them to write another review. When a vendor gets a review, it triggers a notification to anybody who has recently expressed an interest in that vendor. This is one of the ways that couples are making their decision so there’s a high level of interest in that exchange. On the B2B side, it has a fairly new message, a notice to its free vendors. It has a premium model so one of its priorities is shifting those free vendors to premium. When free vendors get leads from WeddingWire, it triggers a notification that gives them a little advice on how to manage those leads and reminds them that the premium vendors get seven times more leads. When they’re getting value from WeddingWire is the perfect time to reach out and nudge them to pay for it. Example: After a wedding date passes for a user, it triggers a message to any vendor associated with that wedding. Since users are most likely to send a review when the vendor asks, the company uses this opportunity to let the vendor know that now is the right time to make that ask. One way to identify opportunities is to study the customer journey, starting with your persona. Map out your customer journey, reference that on a regular basis, use that as a source of inspiration to make really sure that you’re meeting their needs. Once you’ve laid out this journey, then overlay it with the specific interactions that your customer is having with your brand. Every single one of these actions becomes an opportunity to start a conversation. Example: WeddingWire looked at users who have favorited photographers. Based on that single action, it can provide value by sharing related editorial content such as reviews, to help users make a decision. If you go through this exercise with each action, you should end up with a healthy list of behavior messages. When the company added a list of personalized vendors to its confirmation message, the click-through rate went up by 70%, and the conversion rate went up over 75%. After it sends a confirmation about a request for information from a vendor, it then sends out an editorial message about how to work with vendors and how to pay them. It is purely brand engagement with no eye on any particular conversion. But the open to click rate is 45% so it’s the right content at the right time. After it sent a personalized message to its vendors about their relationship with WeddingWire over 10 years, it saw that people kept returning to it, and the open rate continued to climb as people revisited the message. Data quality must be good in real and near time. Email teams must have skills to set up scripting and data management. Identify enough opportunities with enough scales to have an impact.